Before joining the MasteryConnect team last January, I discovered MasteryConnect for myself as a classroom teacher. While I loved teaching and the impact I was having with my students, I wanted to impact student achievement on a broader scale. Ultimately, I envisioned being able to share this powerful tool with educators nationwide and share its impact at the classroom level. Since joining the MasteryConnect team, I’ve had the opportunity to travel from state to state, presenting MasteryConnect to enthusiastic educators and engaging in truly meaningful discussions around mastery learning. Just last week, Trenton Goble, our Chief Academic Officer, and I had the sincere pleasure of meeting with the passionate educators of the Rosemount-Apple Valley-Eagan School District in Minnesota. While it was really cold, the teachers we met made us feel warm and welcome! We initially met district leaders from Apple Valley at the Solution Tree PLCs at Work Institute in Minneapolis. Our continued conversations led to this Professional Development opportunity centered around “The Model Mastery Approach” and a training session for Apple Valley’s middle and high school piloting teachers. A high school physics teacher described how he gave his first assessment in MasteryConnect and invited students to scan their own bubble sheets. One student immediately asked if he could return to his seat to make the necessary corrections after receiving immediate feedback. A highly sophisticated middle school math team used Curriculum Mapping to unpack every standard into student-friendly “I can…”statements. Assessments filled their trackers and students in their classes were able to quickly identify their personal learning gaps. 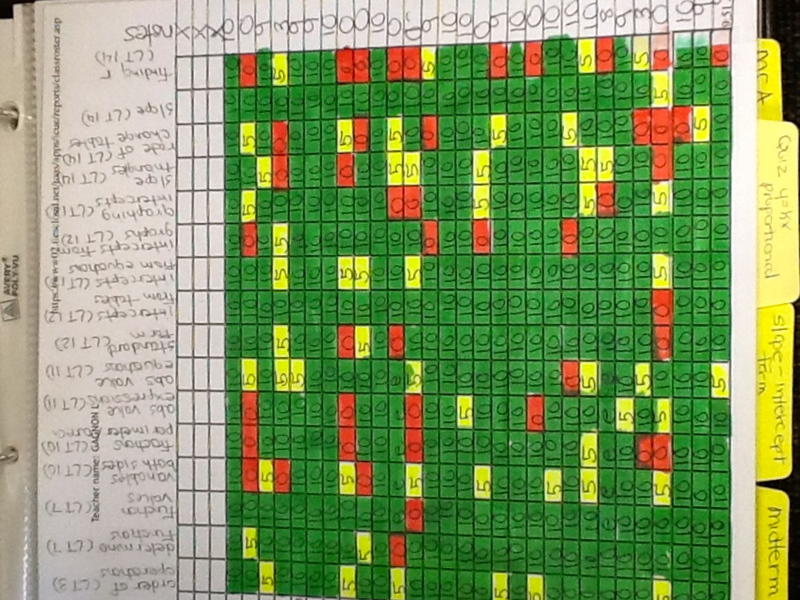 A middle school math teacher who previously spent her weekends tracking student mastery of every skill taught by hand on a paper-based mastery tracker (see the overwhelming image above) described how she now has a technology solution that allows her to communicate that information in real-time. She has her Saturdays back! It’s stories like these that reinforce the importance of what we’re doing here at MasteryConnect for me. I’d like to take this opportunity to THANK YOU for being a part of this awesome journey into mastery learning; we’d love to hear your experiences with MasteryConnect as well!